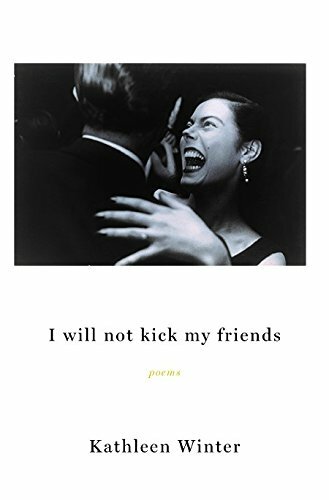 I WILL NOT KICK MY FRIENDS by Kathleen Winter is one of the winners of the 17th Annual Elixir Press Poetry Awards. Contest judge, Jane Satterfield, had this to say about I WILL NOT KICK MY FRIENDS: "Sparkling, satirical, and highly referential, Winter's poems offer deep rewards. They consistently resist scholarly insularity, and the overall effect is a refreshingly choral, intoxicating verse." Bob Hicok said this: "Kathleen Winter is unusually attuned to the intersection of the imagined and the common place. She weaves her loves — personal, artistic, intellectual — into her daily life, making this a book of passionate intimacies. Kathleen's attitude — her appetite — is made clear by her vision of Eve in the poem, 'Noir' — 'He offered me the apple — / what could I do?' This is a wonderful book." .